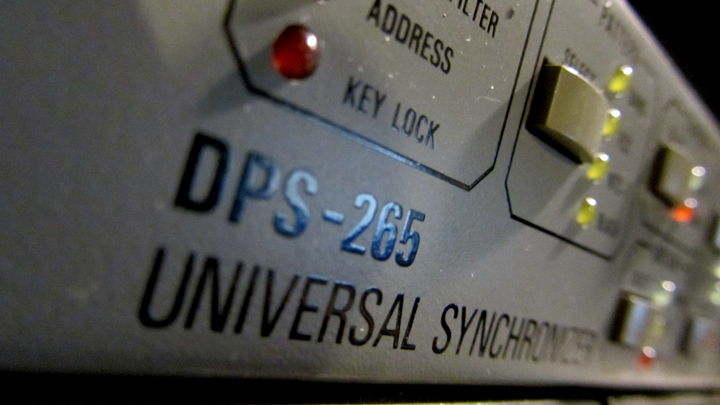 A while back I purchased a Digital Processing Systems DPS-265 Universal Synchronizer, a combination time base corrector (TBC) and video synchronizer, so two video sources can be genlocked and sent into a mixer. The unit works fine, but the original set of fans were quite busted. One had a dead motor, and the other fan was broken from its thin web-like frame, making the TBC unusable until the fans were replaced, as you don’t want to risk generating destructive heat with no air circulation. While it may seem daunting to find a replacement fan, depending where you live, it might be as easy as walking down the local strip known for being peppered with computer shops, each with its own special variety of stock. I’ve uploaded a handful of stills that essentially show the replacement fans I installed in my DPS, which work fine. 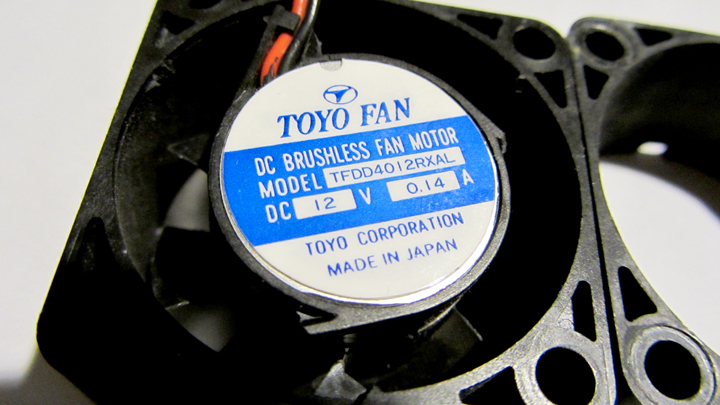 I haven’t run the unit for an extended time to test the efficacy of the DC 12 volt fans – they do run more quiet, and have less force than the original Toyo fans – but the half-as-deep replacement fans speed up once the unit’s been running for as minute. So here’s the workflow in replacing those pesky fans, so that perfectly fine DPS units (and perhaps its cousins) will still function for another decade or two. The original Toyo fans. There’s a few fine plastic strands that keep the fan proper centered, and even pushing the fan lightly when its bolted into the DPS’s housing can shatter the strands and render the fan thoroughly useless. 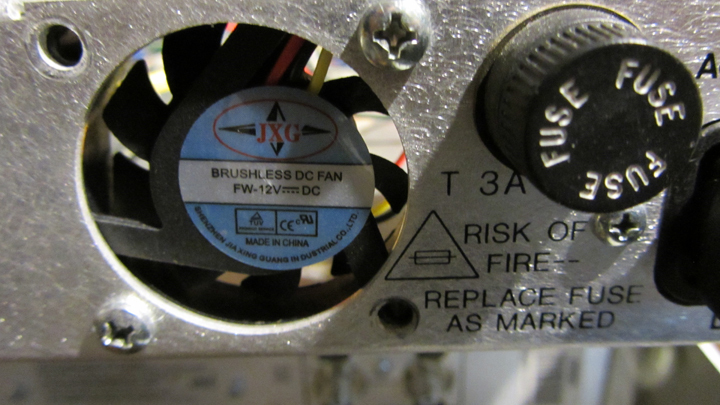 Close-up of the Toyo fan and its specs – a DC 12 Volt unit. 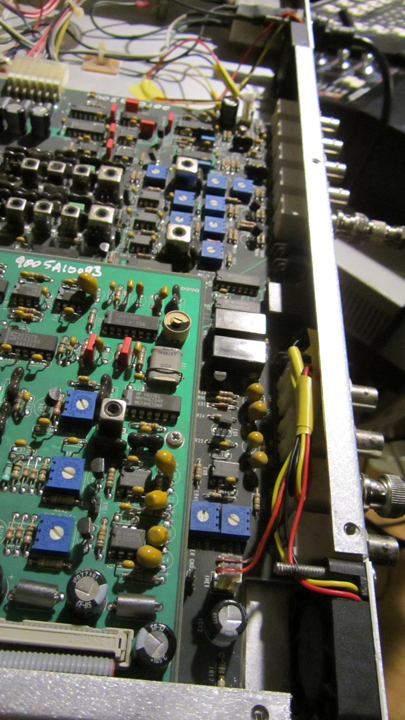 Unscrewing the lid of the classic “pizza box” rack-mountable DPS-265. 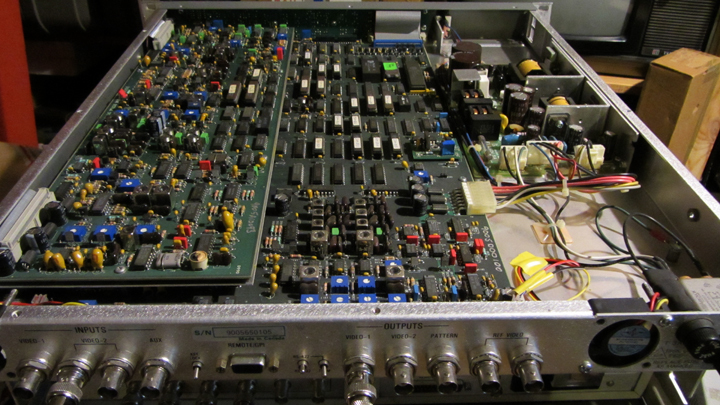 Rear view of the DPS-265 guts, with replacement fans already in place. It’s called a “pizza box” because it’s really that wide and deep. 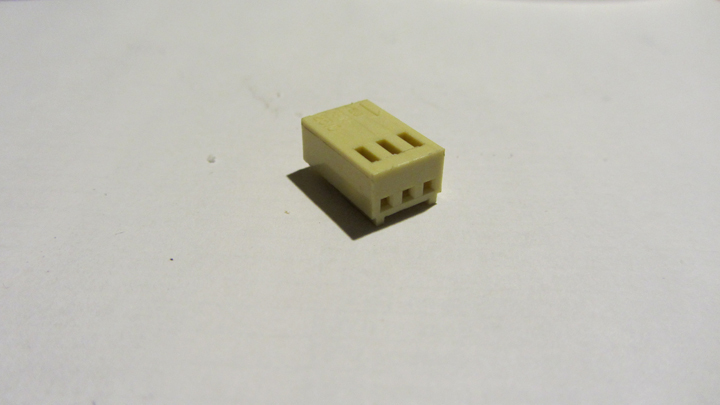 The original plug of the replacement fan for its red, black, and yellow wires. Take a fine-tipped sewing needle, poke it into and lightly under and between each top slot and clamped wire end. It’ll loosen the clamp from the plug and enable you to pull it out gently. 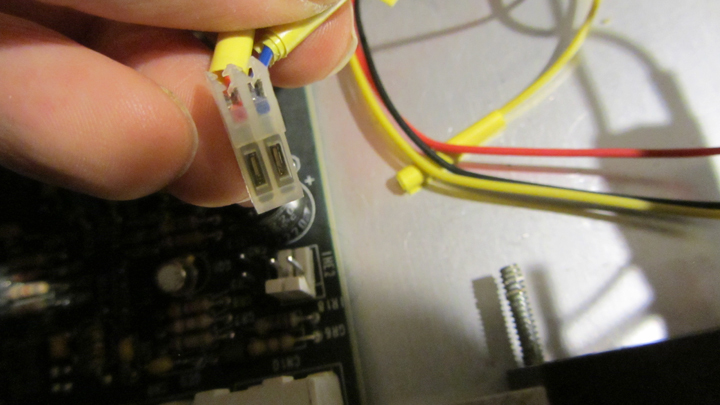 The original plug for the Toyo fan that snaps into the motherboard of the DPS-265. I stripped the plastic sheath off DPS wires left in the original plug, and wrapped them around the metal clamps of the new replacement fan, covering the tied connection with yellow electrical tape. 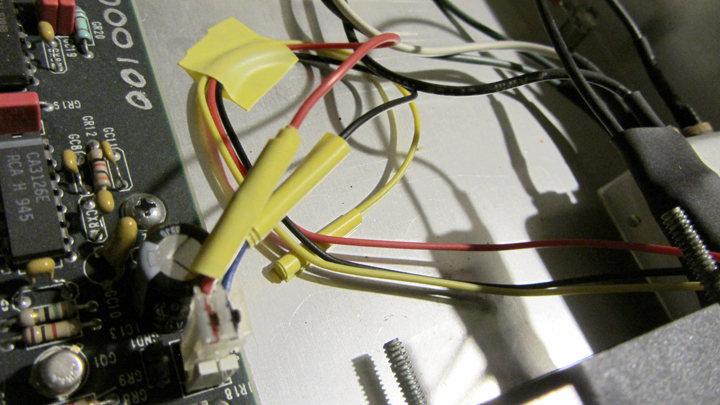 Red-to red wire, black to black (or blue) wire, and yellow remains unused. Excess wires curled and taped to the DPS-265’s housing, along with the unused yellow wire, which has its end also taped up. 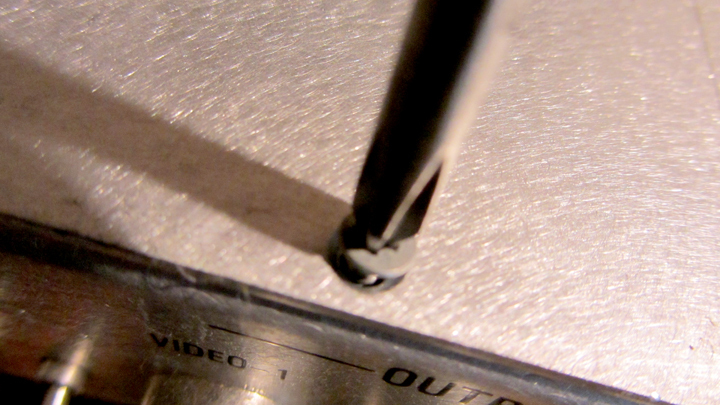 Reverse angle, showing the two of four original screws used to fasten in the replacement fan. 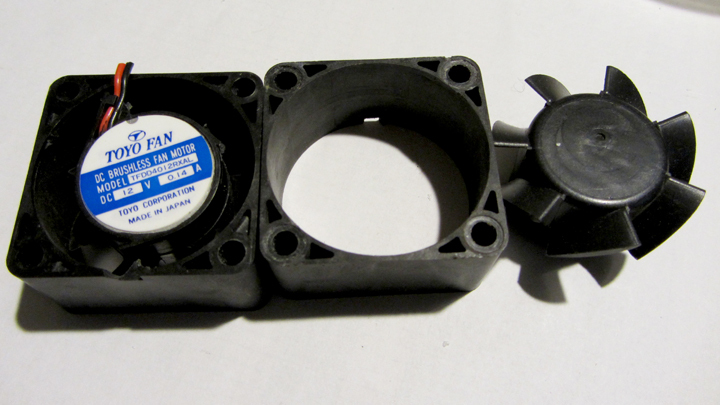 No need for bolts as the fan’s housing has tighter holes that’ll keep in place. 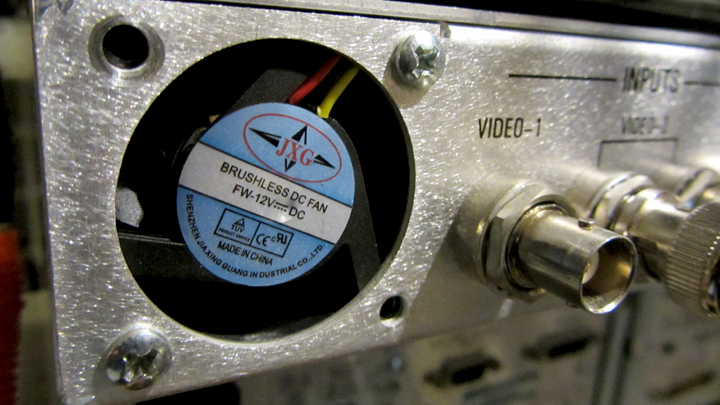 Another angle of the replacement fan, located near the power cord and fuse. Closer view of second fan, located in tighter corner of the DPS-265’s housing. 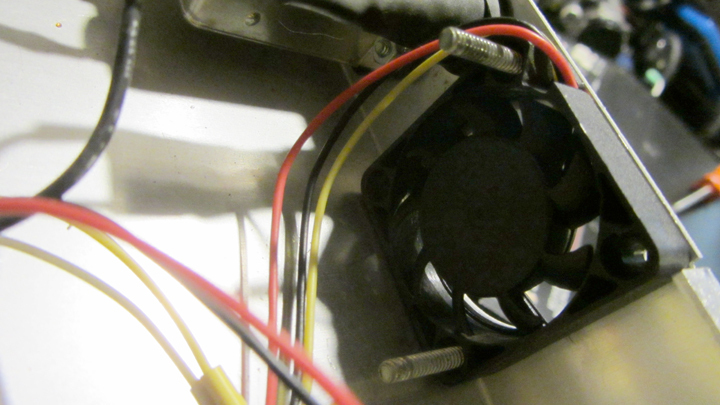 Note taped wires tucked under housing lip to ensure they don’t get close to the fan. Reverse angle of second fan to the rear left of the DPS-265. Again, fastened in place with two of the four original Toyo screws. As with any replacing, unplug the power cord, make sure the power switch is off, and always touch the housing with one hand to disperse any static electricity. These are old and unique machines which aren’t always easy to find in great condition. This one was extremely well cared for, and the front knob used to make TBC assorted adjustments (video level, chroma, phase, etc.) wasn’t sticky or loose, as can happen from prior heavy use / abuse. It may be possible to find the fans cheap online or on Ebay with free shipping, but in Toronto, I found them at Modcom, 298 College Street, (416) 413-9709, for $8.99 each plus HST. I needed them now, they had them in stock, and they work fine. All good.